Designed for use in any terrain, the stackers, ranging from 60' to 150', are easily moved site to site without the need to remove the wheels for transport. Built-in levelling indicators allow operators to position the stacker regardless of the ground evenness, with independent hydraulic jack legs to stabilize once in place. The stackers feature a unique rear counterweight that counter balances the tracks and wheels, which are behind the stacker's centre of gravity. The design enables a much higher stockpile capacity, with the radial wheels set well back. The rear counterweight also firmly anchors the tail end during radial mode, delivering greater stability to the stacker while in operation. McCloskey radial track stackers are more easily transported than other products on the market, and the track bogie features radial rubber tires with a planetary gear box to drive the wheels. This limits them to being pit portable, as road transport becomes difficult. The McCloskey design allows for the wheels to be folded for transport, delivering true portability for operators moving from site to site. "Helping customers achieve greater production levels is what drives us to design and manufacture innovative products," said Paschal McCloskey, President and CEO of McCloskey International. 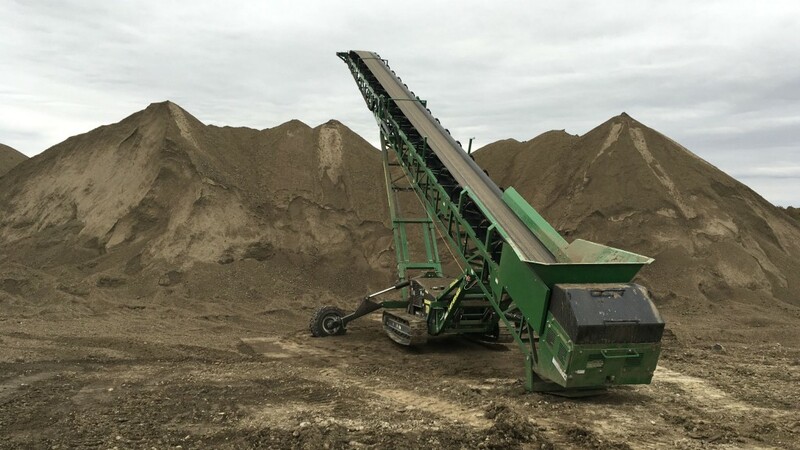 "This patent pending design evolved from watching and listening to the customers' challenges when stockpiling material in a variety of conditions and locations. We will continue look at developing new products to meet these unique challenges around the globe."